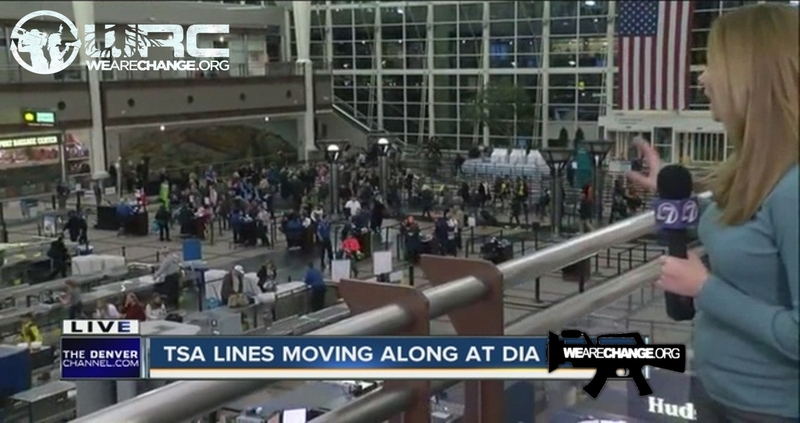 DENVER (CBS4)– Long lines at security checkpoints at airports across the nation seem to be getting worse and the Transportation Safety Administration is putting some of the responsibility on passengers. “We are not here today to blame passengers, but it is one contributing factor to long lines at the airports,” Mark Howell, TSA Regional Spokesperson, said Thursday. Security lines have caused headaches and delays for passengers around the country. On Thursday, agents staged an unscientific show and tell at Chicago’s hard-hit Midway airport to illustrate how prohibited items like water bottles and knives back up the lines. “When we are able to process passengers quickly through the line when they don’t have those bottles of water, pocket knives and other prohibited items, they went through in about a minute and 50 seconds for 10 passengers,” Howell told reporters. CBS4’s Kelly Werthmann spoke with travelers at Denver International Airport and found a few who agree with TSA. But others, like Diane Foley, believe the TSA is pointing the finger in the wrong direction. The agency is hiring an extra 768 screeners nationwide over the next month to help with the crowds. However, TSA says a boom in air travel will likely keep checkpoints packed. “We are seeing an average of seven percent more passengers from last year to this year and some larger airports up to 15 percent more,” Howell said. Travel is expected to hit new records this summer, including at DiA. The upcoming Memorial Day weekend could be the busiest ever.